Cape Town is a beautiful city and given that I am still a fairly new resident, I am still in an exploratory mode (this is something I hope to keep doing). While walking through the streets andbeing inspired by the buildings I took the picture that has become “Up St Georges Mall”. We were in Cape Town at around 4pm then this was taken. I will definitely have more striated skies depicting different parts of Cape Town as there is so much to offer in this beautiful city. The city has its origins from 1652, with the arrival of the Dutch VOC, when Cape was set up as a refresher station for ships going to the east. For a history of Cape Town you can visit here or here. 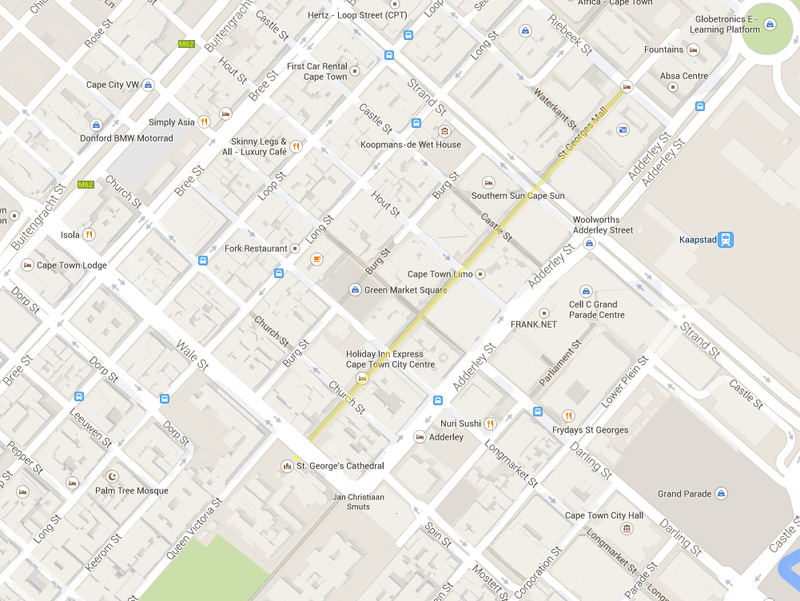 St Georges Mall is a walking street that runs from Wale street over Strand street (Strand means beach in dutch and this is approximately where the beach used to be) up to Riebeek street. The Photograph for “Up St Georges Mall” was taken from Wale street in front of the steps of St Georges Cathedral. TheMother City, as Cape Town is affectionately known, is a must visit for anyone from anywhere. I suggest that you come around February as this is when the weather is actually the best and most holiday makers are gone thus it will be more authentic.